I love Rachel Isadora’s books. Her original work is charming (like Yo, Jo!) and her takes on classic tales are fresh and vibrant. 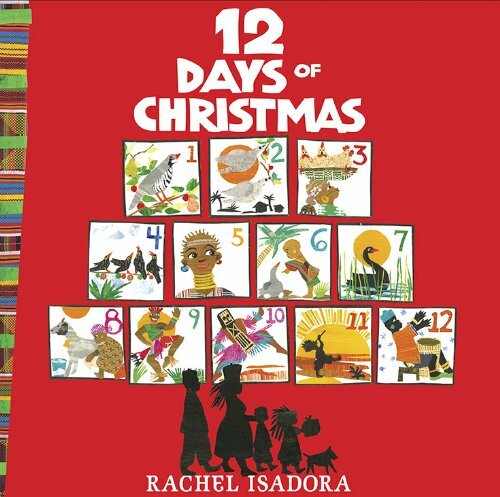 Like this African version of 12 Days of Christmas, following her Africa-set Night Before Christmas. All the elements of the song we know are there, but with an imaginative and eye-opening spin that introduces kids to a completely different culture. The five golden rings are rings worn around ladies’ necks, for example. Her illustrations are incredible, and the whole book has such a festive feeling, so much life on every page, that it will instantly get kids in the holiday spirit and teach them something new. I couldn’t keep it on the shelves this season, the kids loved looking at it.